Beware of the most famous of all scary figures- the Grim Reaper! The Angel of Death has existed in many societies since the beginning of history. 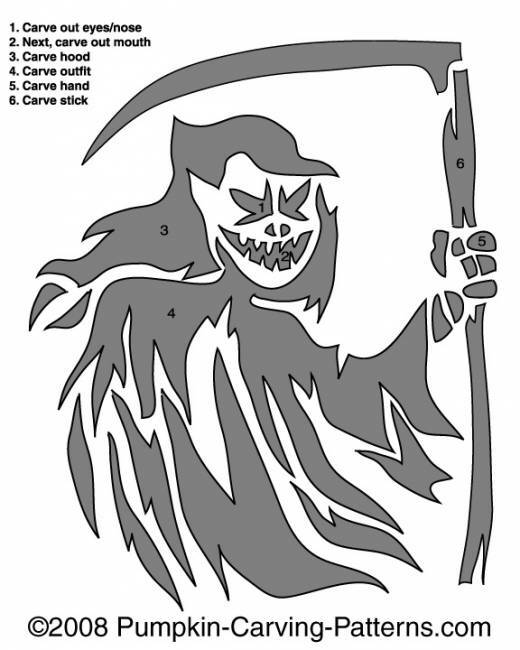 Have the scariest pumpkin on the block with this frightening template!